I just got my 3rd nomimnation for a Liebster award. The first one is a while ago but the last two i got the past week by my lovely fellow bloggers Tania of Inspire My Fancy and Desola of STYLEEXPRESSIONS!!!. Thanks for nominating me. I feel so honored. 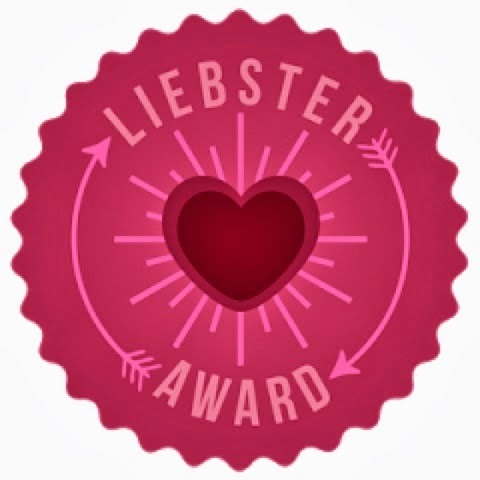 What is a Liebster Award?! The Liebster Award is presented to bloggers by fellow bloggers to broaden the blogging community and to welcome new bloggers. 1. what's your favourite blog post on my blog and on yours? I love ur post with the silver and red african dress. 2. what is your life's motto? Once you know better. You do better! 3. what/who is most responsible for your life's success? Of course my fam cuz they're always on my back no matter what happens! 4. your favourite piece in your wardrobe? 5. what's your cyber pet peeve? 6. Who is the most stylish celebrity to you? 7. what colour do you wear/own the most? 8. favourite bible verse or quote? 9. where are you from and what is it famous for? Ghana. We are known as very happy and friendly people and of course famous for our delicious food. 10. whats your greatest fear? I don'T have any because if i trust in god he will take care of me and family family. So i don't have to worry about anything. 11. what's the one thing you like about fashion, love and blogging? I think its the fact that you get to know other people and other blogs and also learn something of it. As blogger you don't have to hide from anything you can be yourself and express your fashion in your very own way. I was taking part in an model contest and there i get to know some bloggers who i talked with and then all started. Like i say everytime i get my inspiration from mostly everywhere. Boho chic, hippie fashion, high classy looks love them all. 4. Do you like to read blogs, or just look at the pictures? I am the kind of person who really reads the post of my fellow bloggers. But sometimes I also just look on the pics and comment then because i don't always get the time to read everything but i try. 5. What would you love to see more of in the blogging community? Mhmm.. more DIY's and reviews on products i also want to try. 6. If you could do anything you wanted for one day, what would you do? Just to go shopping without thinking of money. Just spending it! 7. If you could meet anyone in the world, who would it be and why? Broderick Hunter because he is so sympathetic and handsome as well but Beyonce and Riri also. 8. What are you happiest doing? Bloggin and spending time with my family. 9. What are the most inspirational blogs that you follow, and why? J. Foxx of romeosfashionfix and Sherly of Shirely's Warderobe because they always have some good inspirational looks. 10.What do you do when you are not blogging? I'm relaxin at home or going out shopping and eating with friends most of the time. 11.Which season do you love most, and why? I love autmn because its not too cold and also not too warm as well. I always lovedto wear scarfs, turbans and some cool boots. 2. Who is the most inspirational person in your life? 3. If you had the Chance to date an celebrity who would it be? 6. Do you prefer light or dark Outfits? 10. Do you have a fav fraqrance?